Mark and Catherine Karmolinski’s desire to fulfill a promise they made to God while going through some challenging times in their own personal life resulted in the birth of Operation Big Serve. Mark had a call on his life from a young age but had taken the long way to fulfilling that call by making choices in his life that had a direct impact on his family and others. With God’s grace and determination Mark has been able to rebuild his life and as a result has accepted the call God had for him many years ago. 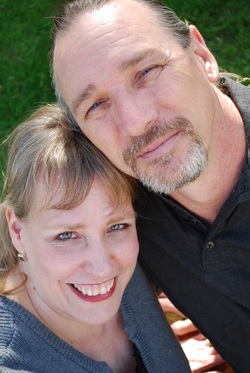 Mark and Catherine’s desire is to empower people through the word of God. No matter where you’ve been or what you’ve done God’s grace and mercy are always available. God can turn any situation around for His good according to the promises in His Word. Mark and Catherine have a dynamic testimony on the redeeming grace of Jesus Christ and believe from their own personal experiences that regardless of your background or past God has a place for you. No matter how bad it looks, no matter how alone you feel you are never so far down that God can’t reach you. Allowing God to take control in your life gives Him the opportunity to bring you through, one promise at a time. Mark and Catherine are ordained Pastors and have been married for 37 years. Together they have raised three children. They make their home in Arizona.